I am passionate about Artificial Intelligence tech and its impact on the future of our society. I am an insanely curious person who always seek out to meet new people with unique interests. I love to travel and explore different parts of the world. Over the past few years I've developed an extensive skill set to prepare for a future career in the tech industry. In particular I've had professional experience in data science, product management, and technical writing. I will be enrolling to RIT starting in the fall of 2018 for my Master of Science in Computer Science. The CS Department here provides leading programs in computer science whose graduates are globally recognized as innovative and well-prepared computing professionals. I plan to conduct research in Intelligent Systems, which encompasses the study of algorithms and architectures that enable effective decision making in complex environments. Specifically, I will work on projects in computer vision, data mining, document recognition, and the theoretical foundations of decision-making. Towards Data Science is a Medium publication that provides a platform for thousands of people to exchange ideas and to expand collective understanding of data science. I have been a regular contributor to the publication with more than 10 articles, raking up more than 200,000 views and 75,000 claps. Many articles have been requested to be featured in various data-focused newsletters, websites, and communities. Limbik is a NYC-based video data studio that deconstructs and analyzes the contextual, visual and audible characteristics of video at scale, then associates each attribute with actual viewing behavior to uncover the precise triggers of attention and engagement. I'm helping them to develop machine learning algorithms that power their video recommendation system platform: from predicting what content will be successful to extracting relevant video attributes/features for their clients. Denison taught me just as much outside the classroom as inside. My double major instilled in me the critical thinking ability to connect the dots and solve problems creatively. My experience serving on the executive board of 3 different organizations showed me the power of leading with empathy, expanded my comfort zone, and elevated my sense of self. My involvement with Greek Life gave me a strong group of friends linked by values through philanthropy, social, and ritual events. My participation in Denison's myriad leadership and volunteer programs exercised my leadership muscle, cultivated my interest in helping others, and strengthened my tolerance to adversity. 4 years at Denison have enabled me to do the things I love, cultivated my mind and identity, and surrounded me with a wealth of amazing peers. I am looking forward to bring what I have learned from this educational experience to the real world. 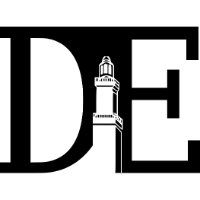 Denison Enterprises is a student-led venture that serves as a think-tank, consultation group, and small business incubator. It provides experimental business learning opportunities to Denison undergrads. I had the fortune of studying abroad with the prestigious DIS program in Copenhagen, Denmark during spring semester of my junior year. My core class is Game Development, with additional classes on Artificial Intelligence, Sustainability Design, and Design Thinking. I indeed expanded my perspectives on learning and culture, and also had the opportunity to travel around Europe and capture scenes in photos and videos. I also interned for the DIS Marketing office. As a student videographer, working in a team of 4, I helped produce and edit the semester yearbook video for DIS Copenhagen Spring 2016. As a student blogger, I wrote regular blog posts for the Computer Science program to market the study abroad experience for prospective students. I was part of VietAbroader's Study Abroad Resources team to work on the VApedia project. VietAbroader is a nonprofit that organize educational and professional programs to equip Vietnamese youth with knowledge and a support network for their academic and professional developments. During these couple of months, I networked with more than 50 Vietnamese students studying abroad to collect school insights / reflections, researched multiple study abroad-related topics, crafted quality articles on American college life, implemented a few initiatives to guide the new VApedia site launches, aided with community support, and made some platform recommendations. The summer between junior and senior year, I did a Product Management Internship at a small startup in San Francisco named New Story Charity. A YC-backed company, New Story crowd-funds houses for homeless families living in danger around the world. 100% of all donations go directly into building homes and every donor receives a video of the exact family moving into their new home for full accountability. The big project that I was tasked to do is to conduct user research to drive more traffic to the company’s website. 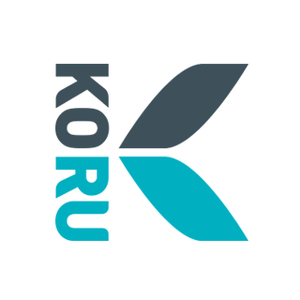 Koru is a selective, intensive, and fast-paced program designed to prepare young graduates for the competitive business world. They launch talented graduates into their meaningful career by providing them with relevant skills, real-world experience, and professional networks. In 3 weeks, I learned to apply the business model, identify potential key areas of growth in both small and large businesses, and succinctly present research as well as demonstrate successful teamwork, effective use of time, and personal responsibility. I worked as the social media manager for the Binzagr Institute, a public policy think tank dedicated to the promotion of interdisciplinary research in the service of an improved quality of life for all members of society. I managed the Facebook and LinkedIn channels with quality updates and relevant articles for the institute. During these years away from home, I had opportunities to hone my ability to experience cultural exchange and articulate meaning as an international student studying abroad in America, compete thrice in the regional tournaments as soccer and tennis varsity player, engage in rigorous AP classes in calculus, biology, chemistry and U.S government, facilitate impactful service events for the local community, develop a personal value system, and discover a passion for the arts via choir and orchestra.